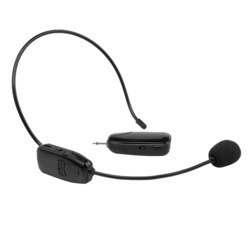 Literally No Wire Microphone, ideal for class teachers, trainers, performers, speech, public transport operators to any microphone requirement. Several days of use on single recharge of battery. Looking for Wireless Mic ?